Last Valentine's Day, did you get your significant other a dozen roses and declare yourself the greatest soul mate in the world? Prepare to be shamed. 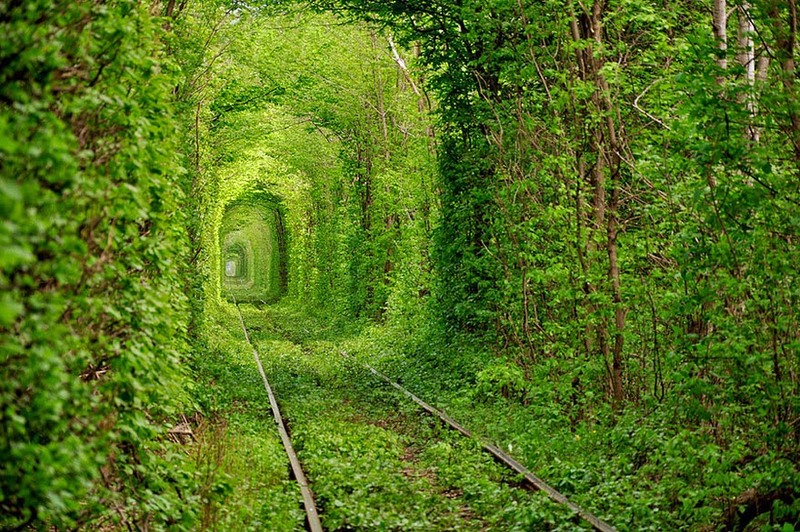 Because what you COULD have done to more adequately express your love was fly your significant other to Klevan in the Ukraine to take a stroll through the city's Tunnel of Love. The gorgeousness of the naturally occurring setting speaks for itself. Well, don't actually fly there around Valentine's Day, because the Tunnel of Love is just a bunch of sticks at that time of year. But do go in the spring, when the leaves are blooming and the air is all full of possibilities ... and maybe some radioactive fallout? (Chernobyl is nearby.) Just be careful to avoid the train, which barrels through the tunnel three times a day. I have it on good authority that getting mowed down by a locomotive is considered not very romantic. I was there last year, this is amazing place especially in spring. But before visit Ukraine I recommend you to create your own route, to visit more famous places, use touristclub.kiev.ua and I'm sure you'll create great route for your Ukrainian vacation.